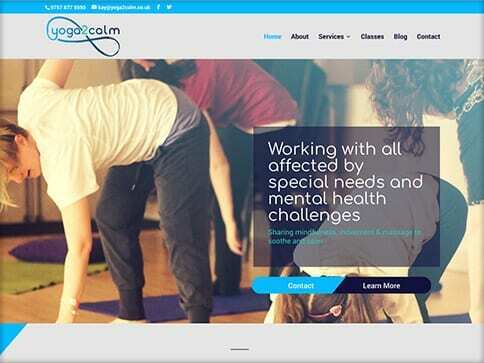 Yoga 2 Calm is a Stockport based organisation that works with adults and children affected by special needs and mental health challenges. Using mindfulness, movement and massage to help soothe a calm. 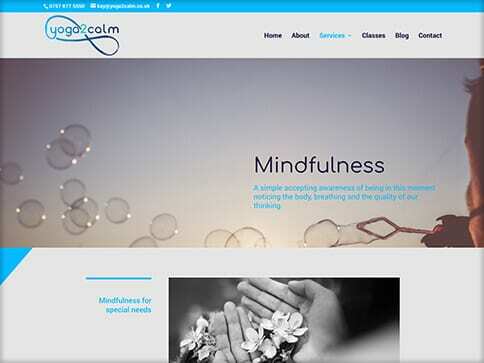 Yoga 2 calm had outgrown there previous site, and wanted a clearer structured website, with a dedicated ‘classes’ calendar where they could list recurring events, with details of venue, organisers and how to book. While building the Yoga 2 Calm site, we had to take into consideration the accessibility for visually impaired and disabled users. 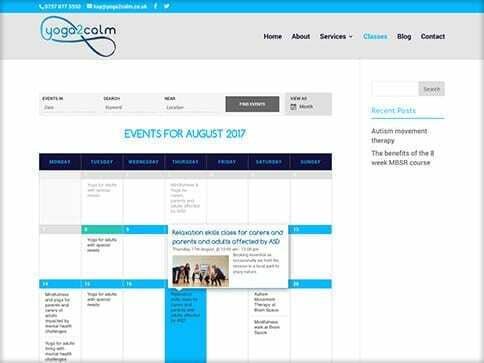 Finally, we built this with a CMS ‘Content Management System’ to allow the client to update and edit there classes and blog content.